If you were to ask a random person on the street if he or she knows someone with a disability, and the type of disability, there’s a good chance that he or she would only mention the people who have a physical disability. In reality, a disability doesn’t reflect just one group of individuals, but rather an expansive group with a variety of needs. It’s also important to remember that although two people can have the same type of disability, it may affect one much differently than the other. As a result, many people make assumptions about individuals with disabilities and while their thoughts may be well-intentioned, they are often inaccurate and can make an individual with a disability feel isolated, harassed, or treated unfairly. Why is disability awareness important? 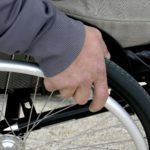 Despite the amount of people who think they know a lot about individuals with disabilities, there’s a good possibility that they know nothing other than assumptions and stereotypes. According to Disabled World, “Disability Awareness means educating people regarding disabilities…the biggest barriers people with disabilities encounter are other people.” Although you may be well-intentioned, when interacting with a person with a disability, you may be more offensive than respectful. Choose Your Words Carefully: Everyone knows that words, good or bad, are powerful. When talking about or addressing someone with a disability, avoid labeling them as victims or as names of conditions. For example, rather than saying “He’s epileptic and wheelchair bound.” say “He has epilepsy and uses a wheelchair.” To some, it may seem like little difference, but by putting people first, your language is more appropriate. Face-to-Face Interactions: Once again, remember to avoid making assumptions about a person’s disability. For example, if an individual uses a wheelchair and appears to have a caretaker accompanying him or her, don’t direct all of your eye contact and conversation to the assistant. If the individual with the disability is unable to verbally communicate, the caretaker will let you know how to communicate. Even if you are familiar with Disablity Awareness and practice it on a daily basis, there may be others in your family, in the workplace, or even in your circle of friends, who don’t know how to appropriately interact with an individual with a disability or has said things that indicate intolerance. While you can teach others how to interact, you can also encourage everyone (of all backgrounds and abilities) to get involved with the disabled community, which can further teach tolerance and remove stigmas. While the holiday season is a time when many people are inspired to “do good”, consider volunteering or getting involved all year round. Whether you offer to give someone a ride to a doctor’s appointment or take him or her holiday shopping and then follow-up with lunch, extending your open mind and friendship can help raise awareness and acceptance for individuals with disabilities.